The Barcelona Gothic Quarter, also known as Barri Gòtic, has a clear mix of old and new buildings. Barri Gòtic used to be a Roman village but with the changing world that we live in, it has become a huge attraction for tourists and locals alike. This area of the city is a great place to explore but know that with all the small alleyways, it is easy to get lost. 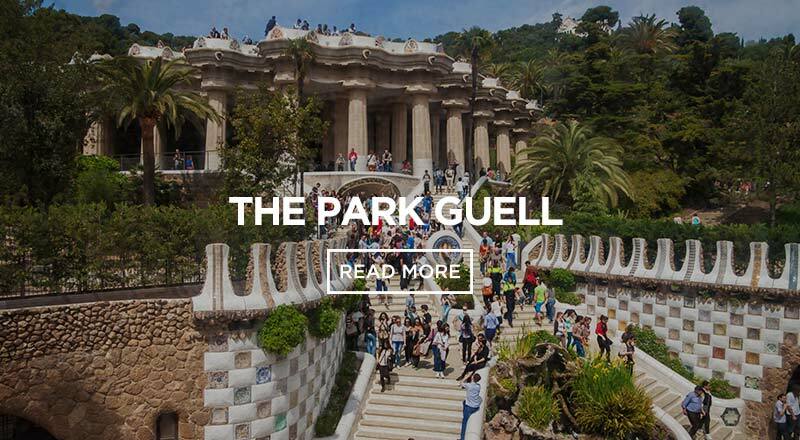 Coming from any of Sant Jordi Hostels’ Barcelona hostels, it will take less than 20 minutes to get to. Simply by walking around this area there is so much to take in. The city as a whole has amazing architecture and detail. In the larger squares it is common to find street performers playing music. 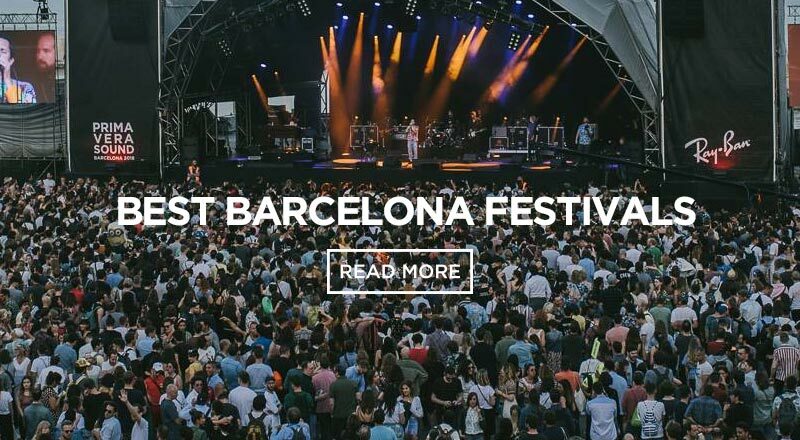 It is the unique opportunities and sights that this part of the city offers which makes it the cultural hub of the city and a first choice for many visitors to Barcelona. 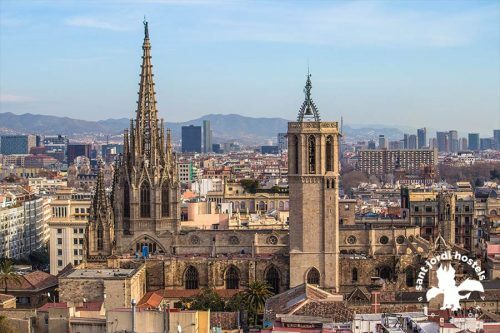 The Barcelona Cathedral in the Gothic Quarter is a must see. There are nearly three million visitors to the Cathedral each year. 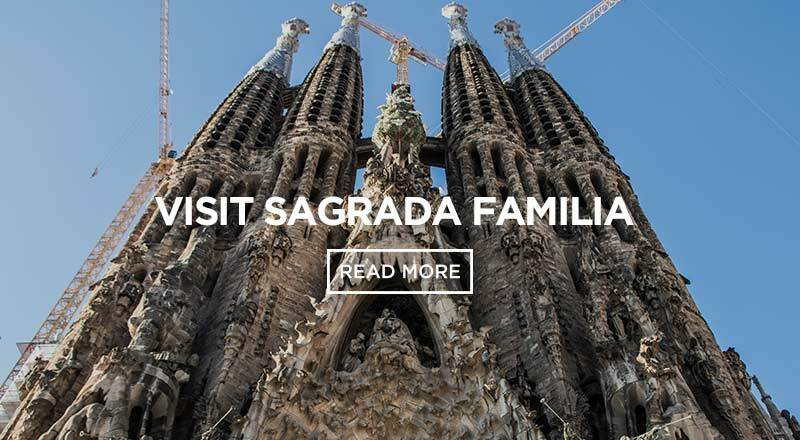 The magnificent structure began its creation on May 1, 1298 but took over 150 years to finish. This breathtaking monument is still used today. They offer daily Masses, confessions, and baptisms. At the very least, we highly recommend you walk past it and snap a great picture! Feel free to go inside, get a tour and see the view of the city from the top! Around the corner from the Cathedral you will find Bishop’s Bridge. Even though this gorgeous bridge matches the architecture of the buildings around it, it has found a way to stand out. Bishop’s Bridge was constructed in 1928 by Joan Rubió Bellver. This architect wanted to build a series of buildings that went along with the gothic time period, but the government did not accept it. Today this bridge catches the eye of anyone who walks by, and they will stop for a picture. The most famous square in the Gothic Quarter is the Plaça Reial (pronounced Plaza Real). 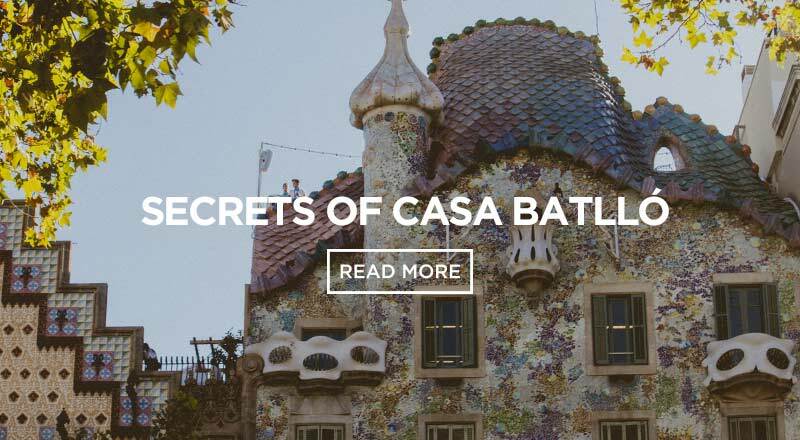 It is located right off of Las Ramblas, which makes it an easy stop. Plaza Real is a great place to stop, sit, and enjoy the scenery. In the middle of the plaza there is a beautiful fountain known as the “Fountain of Three Graces.” Named in reference to the three daughters of Zeus: Euphrosyne, Aglaea, and Thalia. The square also has great restaurants, which are popular. Plaza San Felipe Neri is a square near the cathedral with a lot of history. When looking at the surrounding buildings one can see the history behind them.This small areas was one of the bloodiest places during the Spanish Civil War. There were 42 fatalities here when a bomb fell on the church on September 30, 1938. Luckily the bomb did not destroy the entire building but the damage remains visible on the walls. This not only gives it character, but reminds you of the journey and the story of this magical area. Today this square is used to film movies and tours go through here to teach about the history of the area and the Catalan people. Before the Jewish peoples were expelled in 1492, they lived a prosperous life throughout the Iberian Peninsula. Even though Barcelona did not have the largest Jewish population in Spain, they left their mark. There is a synagogue in this area as well as a museum. The Barcelona Jewish Quarter, El Call, is considered to be the most beautiful part of the Gothic Quarter. Here you will find narrow streets with nice restaurants, bars, and cafes. I am sure you will end up here without even realizing it. Who doesn’t love shopping? Shopping in the Barcelona Gothic Quarter is amazing. On the street Portal d´Angel, you will find everything from big name brands to small, independent shops. The big names found here are more designer oriented. The smaller shops have great souvenirs and stylish Spanish clothes. There are some amazing vintage stores in this part of the city. Each store has its own personality. You will be amazed by what you can find. Restaurants are all over the place in the Gothic Quarter and we recommend stopping somewhere for a bite. There is a range of expensive, sit down restaurants to cheap on the go sandwiches or gelado. The oldest restaurant in Barcelona, Can Culleretes, is located in the Gothic Quarter. Also, check out the Cuatro Gats (4gats also known as Els Quatre Gats in the local dialect) where famous artists like Pablo Picaso and Antoní Gaudi hungout back in the early 1900’s. There are 3 metro stops on Las Ramblas, which is a straight line down to the Gothic Quarter, and two stops close to the El Born neighborhood. 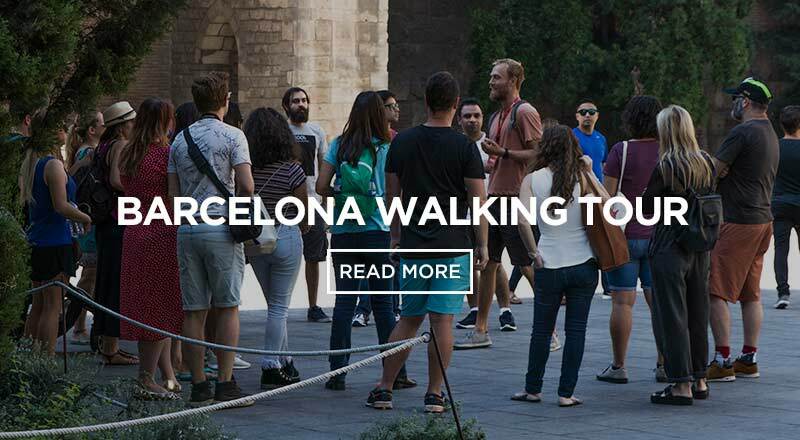 This is just the beginning, and there is so much more to see in Barcelona´s Gothic Quarter. Depending on what you want to get out of your experience here, you may need more than one day. 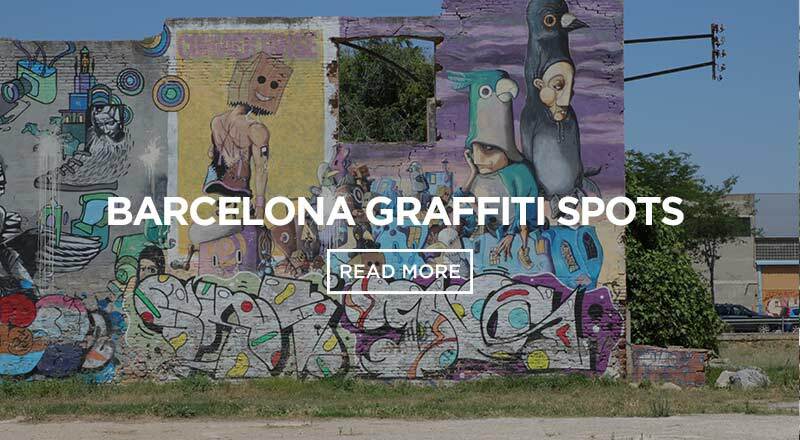 This medieval area is not like any other part of Barcelona. 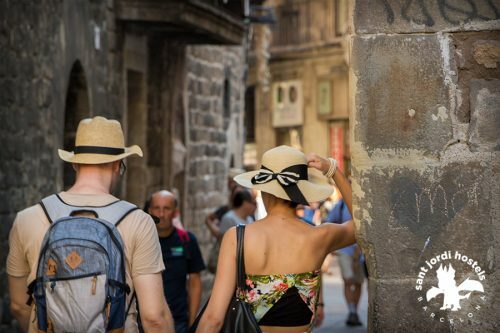 Since Barri Gòtic is so close to Las Ramblas, we recommend taking the walk down the street to experience it. The pictures below show the beautiful Gothic Quarter in various seasons. You can feel the difference through the colors and lighting. Each street offers its own story and you can feel the personality behind it.